Since 1959, the Big Bear Alpine Zoo has been a passion-based organization, with a history rich in rehabilitation and rescue efforts for mountain and nearby communities. Nestled amid a canopy of large pines and giant cedars, this 2.5-acre zoo cares for injured wildlife—releasing animals back into the wild when possible, or providing a permanent home for them if their injuries are too severe. In August 2016, the zoo began the construction of a new 5.5-acre facility, with a completion date set for early spring 2018. At an elevation of 7,000 feet, this "sky island" setting is an ideal location for an alpine zoo—but its remoteness created isolation, of sorts, from other professional animal care facilities. 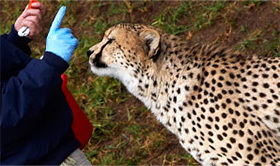 As a result, the zoo staff maintained a high level of passion, but their ability to stay current with the latest practices in animal care suffered. The alpine setting also contributed to a limited pool of experienced animal care staff. Staff turnover resulted in pockets of inexperience, creating a void in the creation of a professional environment for animal care staff. As both general curator and director, the scope of my responsibilities covers all aspects of running our small zoo. The task of ensuring that all staff are trained to modern standards of animal care has been both challenging and time-consuming. Adding to the challenge was finding a way to measure and document that each staff member has fully comprehended his or her training. The task of fully training staff from scratch—on all aspects of animal care—was too big for one person to take on alone. 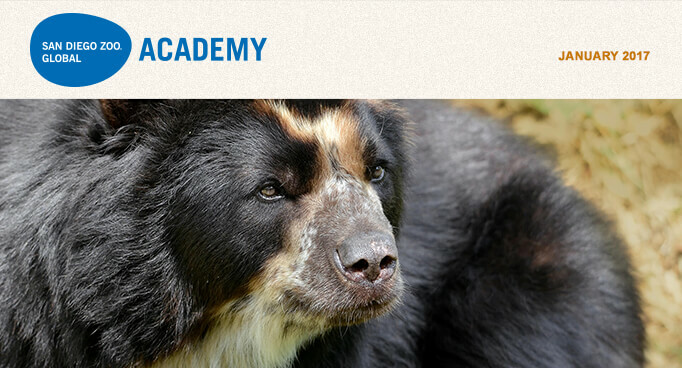 Courses from San Diego Zoo Global Academy were a very logical direction to take, with regard to training my staff. Since signing up, San Diego Zoo Global Academy animal care training has provided resources, expertise, and content, allowing the keepers at Big Bear Alpine Zoo to be trained on par with major zoos across the country. Today, staff at Big Bear Alpine Zoo continue to learn the fundamentals of zookeeping. The new direction in professional development has made a positive impact on animal care, rehabilitation, animal welfare, enrichment, and guest interactions, as well as record keeping and communication. Emphasis on proper training of staff also has the effect of increasing professionalism, staff engagement, guest interactions, exhibit maintenance and improvements, enrichment quality, and animal welfare, and creating a better understanding of our overall mission. With fewer than 150 animals, we are a small zoo with a big mission. And with new construction currently underway, we are expecting to be occupying a brand-new facility by 2018. With the help of Academy training, our modern facility will house animals cared for by a well-trained staff. We are our own rehab story. The Akron Zoo in Ohio is part of the Academy's collaborative learning environment. Please join us for the Administrator's Users Group Webinar, hosted by Academy partner CypherWorx. The next webinar is Wednesday, January 18, at 11 a.m. PDT. After registering, you will receive a confirmation email containing information about joining the webinar. For 2017, we are extending the book club program offered to employees at San Diego Zoo Global to Academy subscribers, via the monthly newsletter. Why a book club? It is beneficial for employees to strive for balance in their lives, and reading a good book can provide a time for recovery and renewal. Each month in the Academy newsletter, we will ask a question related to the book club assignment. After three newsletters, you will have completed the same questions as San Diego Zoo Global employees. In the second quarter, we will have a new book club assignment. If you enjoy reading, enjoy the Roar Longer Book Club! 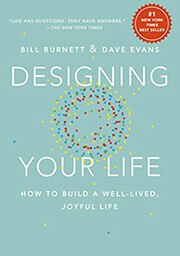 The first quarter's book club selection is "Designing Your Life: How to Build a Well-Lived, Joyful Life," by Bill Burnett & Dave Evans. We decided to start 2017 with an inspirational and helpful book on living life to its fullest. The book is available from numerous booksellers, including Amazon. It can also be downloaded for Kindle, Nook, and iPad, and is available on iTunes. Here's our January question related to the book: In the introduction, the authors point out that only 27 percent of college graduates have a career related to their majors. What did you think when you read that statistic? Are you among the 27 percent? Incipient Stage Fire Extinguisher Education—This course is designed to give participants an overview of incipient stage fires and fire extinguishers. The course will identify multiple types of fire extinguishers, as well as their purposes, and will describe how to operate and maintain them. Participants will learn the hazards associated with incipient stage fires—and tips for when not to fight a fire. "Training" is teaching, or developing in oneself or others, any skills and knowledge that relate to specific useful competencies. Training has specific goals of improving one's capability, capacity, productivity, and performance. Training is a process of continuous improvement that is best accomplished through sustained effort. When you think you have learned and trained to the best of your ability, then continue to learn and train some more. There is always something more to learn and apply in our work with animals and each other. Share your ideas with others in your organization and, as a whole, develop those experiences into new practices. Develop or refine training programs (and leverage resources like San Diego Zoo Global Academy) to best suit your aims. Run through mock training sessions to ensure that ideas, policies, procedures, and plans are working well for your organization—but most importantly, so that things work better for the animals in your care. After all, the animals are your single most important responsibility, and they deserve nothing less. It is essential that comprehensive training be provided upon hire or organizational commitment to Excellence Beyond Compliance. Concurrent with training, all zoological organization staff should be instructed and reminded about the overriding importance of animal welfare, the AWA, and Excellence Beyond Compliance. A comprehensive training program includes individual efforts and organizational-driven initial and general training (especially as to regulatory compliance and animal welfare), ongoing, supplemental (possibly varied or reinvented by need, or areas of directed focus for improvement), specialized (such as emergency preparedness and response), and outside professional development activities. Training can also be utilized as a constructive means to help move forward following a challenging experience or situation. Keeping good records of such efforts is important to measure and evaluate growth and progress, as well as to demonstrate competence and knowledge to regulatory agencies and other third parties. Training is a worthwhile investment of personal and organizational time, attention, energy, and resources. When directed to practical application, training is extraordinarily valuable. It fosters excellence. Successful, sustained training leads to bigger and better things. Individuals and organizations can benefit from training, but the real winners are the animals entrusted to our care. Train yourself and your organization to develop greater practical understanding of the Animal Welfare Act regulations, USDA inspections, and ways to use the AWA to better serve animals, by joining us at 2 p.m. EST on February 2 for Ask Animal Care with Elizabeth Goldentyer, DVM, Eastern Regional Director; and Robert M. Gibbens, DVM, Western Regional Director, USDA, APHIS, Animal Care. Register and submit questions to info@excellencebeyondcompliance.com. Do Any of Us Ever Get Too Much Encouragement? This month, we introduce a new column by Gary Priest, curator of Animal Care Training at San Diego Zoo Global. Dr. Rob Jones, The Aquarium Vet, will also be back next month with his column, "Something Fishy Is Going On." This is the first installment of a new monthly feature of the Academy Newsletter. It is my plan to use this space to write directly to supervisors/managers, curators, and directors. My purpose is to offer you insights: ideas, tools, and strategies that will help you achieve success with your staff, and your professional development and training program. If you are struggling with this one, you are not alone. Staff training is a huge undertaking, and it is difficult for many reasons that we will explore in this and future columns. I am personally encouraged that in five short years, the San Diego Zoo Global Academy has become the online training platform for the vast majority of accredited zoos and aquariums in the United States and Canada. I look forward to encouraging collection managers, who may be struggling with resistance presented to them by their always-too-busy staff. In fact, the focus for this first column is encouragement. I can think of nothing more important or necessary in the area of professional development than the sincere use of encouragement of your staff. The word "encourage" simply means "to fill with courage"—so, why should we need to encourage staff to take advantage of online training that the organization is providing and paying them to take? There are multiple reasons behind resistance to change, but in my experience, the two chief reasons are fear of failure and lack of confidence. Both challenges require determination and courage to overcome. Does anyone ever get too much encouragement? Do you remember the last time someone inspired you with confidence and gave you hope or courage when you were frightened or struggling with a challenge? Of course you remember. So do I. Unfortunately, this is because the intentional expression of genuine, heartfelt encouragement is so rare. Honestly, as a manager, when was the last time a superior filled you with courage? It isn't because it is costly; encouragement can take place in a moment. It isn't because encouragement isn't appreciated; I have never known an encouraging word to not be readily accepted by the recipient. I believe that there are two primary reasons we fail to fill others with courage. First, we don't often experience the exhilaration of an encouraging word; and second, because encouragement is rare, it simply doesn't occur to us to pass courage on to others who desperately need it. I have observed that once an employee is promoted to the management team, instances of being encouraged by a superior mostly slow to a near stop—and they seem to decrease, the higher you climb the ladder. Superiors are busy people, and your courage in facing challenges is expected. The unintended consequence of failing to encourage a protégé is the risk that they will learn the same behavior, and model it with their staff. So, let me challenge all the managers reading this column to break the cycle and begin to recognize that change is scary, and it often takes courage to meet it head on. Support your staff in this way, and watch them—and your professional development and training program—excel. For more information regarding this column, please contact Gary Priest at gpriest@sandiegozoo.org.